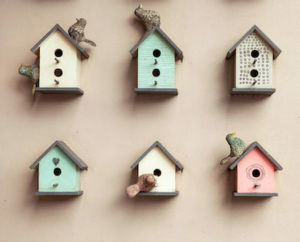 When you have guests over to your house you want them to be impressed by what they see, and if you have homemade furniture from recycled wood, it will undoubtedly draw a few eyeballs. If the wood flooring you have has a naturally lived-in feel, then it’s perfect for designing cabinets, tables and even benches that look both aged and unique. This is where it’s time to let your creativity run wild. 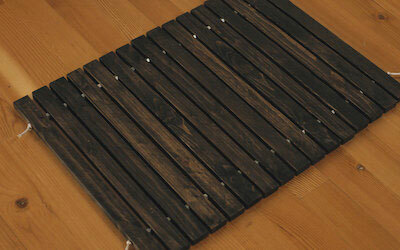 Pull together your leftover wood flooring and other bits of wood you can find and make something unique. Don’t be afraid to use paint or gloss either! Common examples of this type of artwork include mosaics, animals, picture frames, letters and love hearts. You’re only limited by your own imagination. If you want to save a bit of money on fitting the skirting boards around your home, then why not take some time to refashion and even gloss or paint your leftover wood panelling to use instead? You won’t need to do too much more than cutting them all to size vertically. This is something you likely wouldn’t have considered, but if you have a small room and enough leftover planking, then why not cover the ceiling with it? 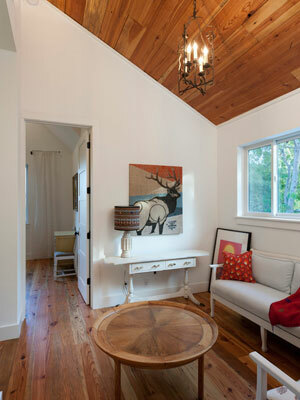 It will give the room the feel of being in somewhat of a log cabin and really mix up your interior decor. On the flip side, if you are left with very little wood and still want to make good use of it, then make yourself an indoor or outdoor doormat. 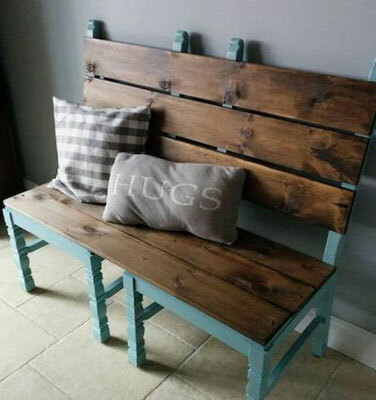 Just cut them all to the same vertical length, drill holes through each plank in the same 3 or 4 spots and use rope weaved through each one to hold it together. 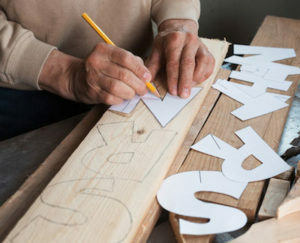 It shouldn’t take too long and you’ll be left with something handmade and practical at the end of it. 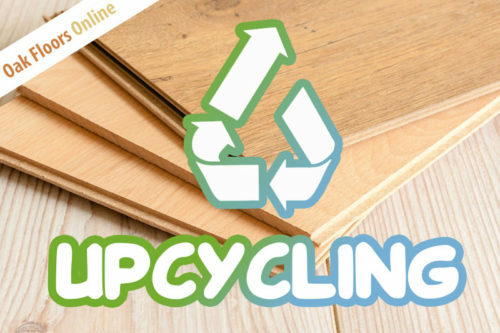 These are five great ideas to consider if you’re thinking of upcycling your wood flooring. But it’s important to remember to use your creativity and imagination and if you have an idea that’s not on this list, then go for it! If you are considering installing Oak Flooring in your home but are unsure about how much to order, we can help you order just the right amount to minimise wastage – get in touch!